Here is a range of our site specific projects, please click on the links to find out more. 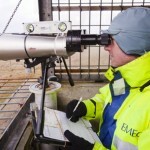 EMEC role: EMEC manages the project with data collection undertaken by a local team of expert wildlife observers. Aim: To develop a methodology and procure equipment for characterising the acoustic output of devices. This will then be used to establish a baseline data set. EMEC role: EMEC manages the project and undertakes all aspects of the data collection, with analytical activities undertaken jointly with our external partners. 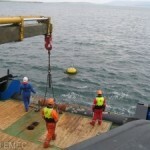 Aim: Project ReDAPT will install an innovative 1MW tidal generator at EMEC. EMEC role: Within this project EMECs primary responsibility is the environmental monitoring work package, although we are also supporting various other aspects in the project such as 3D hydrodynamic modelling. EMEC will design a cabled environmental monitoring pod which will contain a variety of measurement equipment, including a bespoke active sonar system. Beyond this we will also utilise marine radar, drifting acoustic and ROV surveys to build up a complete monitoring package. 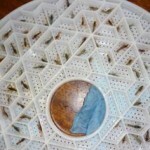 Aim: This project will monitor the abundance of lobster at the Billia Croo test site and release hatchery reared tagged juveniles. The project will tell us more about the influences of the wave test site area on lobster abundance and availability to the local Orkney fishery. EMEC role: EMEC leads the project with partners from the International Centre for Island Technology, Orkney Fisheries Association, Orkney Fisheries Society, Orkney Sustainable Fisheries, Seafood Scotland and University College London. Aim: We commissioned DHI to construct a numerical model of the Orkney Islands using the flexible version of MIKE 21 Flow Model FM. 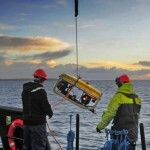 The model provides detailed information at specified locations on water level, currents and waves. The model mesh has a varying spatial resolution, enabling complex tidal channels and local topographic features that may influence the hydrodynamics to be sufficiently resolved. EMEC role: EMEC supported DHI in the design of the model and now operates it for developers on site and in surrounding waters. Aim: We commissioned the International Centre for Island Technology (ICIT) to undertake routine monthly analysis of the MetOcean data gathered at Billia Croo. The reports produced are available to developers deploying at the wave site and inform them of the site conditions, which will help in device design, assessment and deployment. EMEC role: EMEC supported the initial assessments done by ICIT and subsequently provides a resource for processing and analysing data in-house. 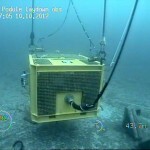 Aim: We procured a high magnification camera mounted on the Black Craig observations point with the potential to inform wave energy device operators, as well as regulatory and other decision makers, about the frequency and nature of any specific interactions between surface-piercing parts of devices and wildlife. EMEC role: EMEC managed the project and continues to use the camera for routine operations and bespoke research projects. Aim: This project developed a course which provides the minimum sea safety certification required for people to work offshore in the marine renewables industry, along with demonstration of the safe and efficient deployment and retrieval of a current profiler. This has been a joint project between us and the Department of Maritime Studies in Stromness, Orkney. EMEC role: EMEC developed the project with Orkney College and continues to support the development of training courses for the marine renewable sector.